Stuk 1991.028 item 289 - 1094. Church Street, near Crescent, Brampton, Ont. Engels » 1094. 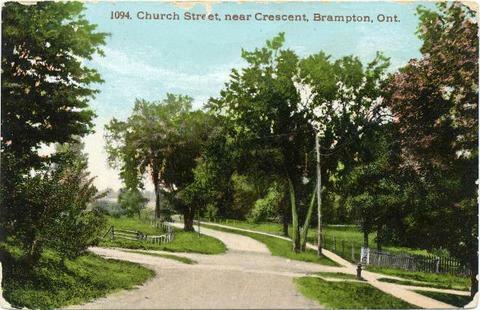 Church Street, near Crescent, Brampton, Ont.